Welcome to Login, the tech newsletter that can't possibly be the same with Ina Fried away, but we'll do our best in her absence! White House officials sought to reassure tech industry representatives at a private meeting last week that the Trump administration's pugnacious trade policies will ultimately aid their businesses, two sources tell Axios' David McCabe. 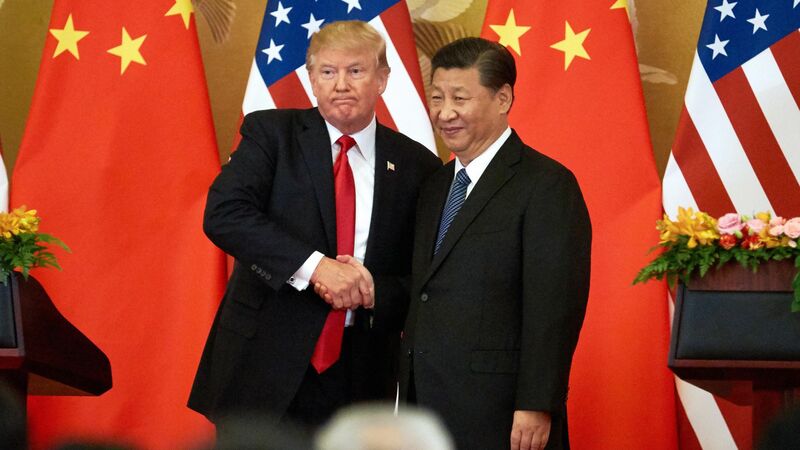 Tariffs imposed by the White House against China were a major focus of the Thursday meeting, which was held in the Eisenhower Executive Office Building next to the White House. White House officials argued that tariffs will help the administration push China to change course on issues that matter to tech, including the forced transfer of American intellectual property into Chinese hands. "The administration did its best to suggest there is a coherent strategy behind all this churn" that will ultimately be good for industry, one source said. Go deeper: Read David's full scoop here. A handful of candidates with ties to the technology industry are on the midterm election ballots this year, saying they are motivated by Donald Trump's election. Tech leaders generally believe that building companies and innovative products makes more of a difference in the world than working in politics. But, as Axios' Kia Kokalitcheva and Kim Hart write, Trump's election seems to have shaken the broader industry into a political awakening. What's happening now: Employees have become more politically active, and some are even forming organizations to put their skills to work, such as Tech for Campaigns. The candidates Axios identified with ties to the tech industry are all Democrats who, like many in the left-leaning technology industry, had supported Hillary Clinton in 2016. Axios spoke to three tech-rooted candidates about why they chose to run, and they all cited the 2016 election. “I saw what happened in November 2016 and realized that I hadn’t done what I could have done,” said Brian McClendon, a former Uber and Google executive and entrepreneur who's running for Kansas' secretary of state. “After the election, I really felt like our country was in a place where I couldn’t stand on the sidelines anymore,” said Suneel Gupta, who's running for Michigan’s 11th congressional district. Gupta sold a nutrition management startup two years ago and was previously a Groupon executive. “If good people don’t decide to run, then our government is in trouble,” said Phil Weiser, former White House technology adviser and deputy attorney general under the Obama administration, who also launched the popular Silicon Flatirons tech policy conference in Boulder. Weiser is running to be Colorado's attorney general. Reality check: Their focus on tech can be a double-edged sword for these candidates. While they can confidently sell the importance of STEM education, tech jobs and broadband access, for example, they may not have direct experience dealing with constituents' other non-tech-related priorities. Go deeper: Read their whole story here. In less than a week, Spotify, Stitcher, Apple, Facebook, YouTube, LinkedIn and Pinterest have all taken action to either ban or crack down on InfoWars and its conspiratorial leader Alex Jones, Axios' Sara Fischer writes. The only platform exception so far has been Twitter, which says Jones has not violated its policies. Read more of Sara's story here. For more relevant stories like this, subscribe to her weekly newsletter, Axios Media Trends. China's deployment of 5G, the next generation of cellphone technology, is way ahead of the U.S., according to a new report from consulting firm Deloitte. What they found: China is investing more heavily in wireless infrastructure than the U.S., is deploying new technology more efficiently, and stands to gain more of the economic benefits of 5G more quickly, per Deloitte. Encouraging collaboration between carriers and other "ecosystem organizations." Creating a national database to track 5G deployment and provide data on communities' approval and denial rates for the small-cell towers that make 5G work. At this week's Black Hat cybersecurity conference, panels about hacking automobiles and airplane Wi-Fi are being interspersed with a new focus on mental health, Axios' Joe Uchill reports from Las Vegas. Issues like anxiety and depression aren't new in the cybersecurity field, and stress is rampant. Pros work long hours under enormous pressure to protect critical networks from ever-increasing threats. What's new: Black Hat's focus on the people, not just the technology, may instigate broader industry changes. Its spotlight on topics like suicide, stress load, mental illness and trauma could encourage employers in the field to think about those issues, too. Anecdotal evidence suggests high prevalence of mental illness in the information security community, perhaps heightened by the hacker subculture attracting people from a variety of backgrounds, some of which may involve pre-existing mental health conditions. Go deeper: Read the rest of Joe's story here, and while you're at it, sign up for his twice-weekly cybersecurity newsletter Codebook. Tim Wagner joins Coinbase as VP of engineering. We'll be here again tomorrow — just hit reply to this newsletter if you want to send tips or feedback.